One Piece: Super Grand Battle X is a new 2D-fighting game for Nintendo 3DS from Bandai Namco Games. 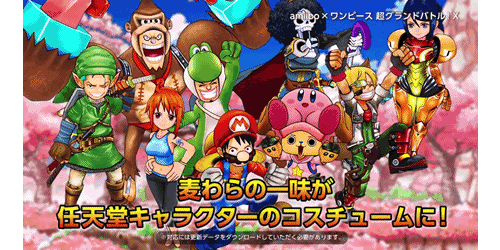 The game features gameplay similar to the Smash Bros series and dozens of characters from the One Piece anime/manga! 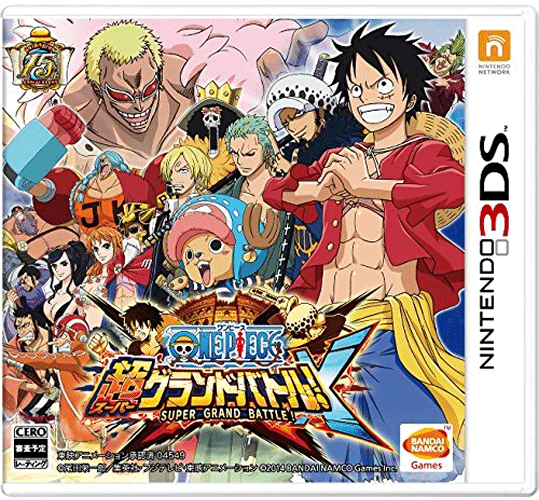 One Piece: Super Grand Battle X is currently exclusive to Japan and can only be played on a Japanese 3DS handheld. However, amiibo figures are region-free so you can use amiibo figures from anywhere in the world to unlock the in-game content! One Piece: Super Grand Battle X allows players to scan in one of 11 select amiibo figures to unlock special costumes for 9 of the One Piece characters.